In the previous post we looked at a few Biblical references that mention both frankincense and myrrh. We called attention to the Incense Route which ran from Arabia through Petra (now in Jordan) and Avdat in the Negev. In New Testament times this route was controlled by the Nabateans. Frankincense is displayed at Avdat, stop number 62 on the famous Incense Route. Click on the photo for a larger image. Frankincense at Avdat on the Incense Route. Photo by Ferrell Jenkins. The Bible indicates several uses for frankincense. Used in the incense associated with the anointing of the priests (Exodus 30:32). Placed on a grain offering (Leviticus 2:1-2). Placed on the bread for the tabernacle (Leviticus 24:7). 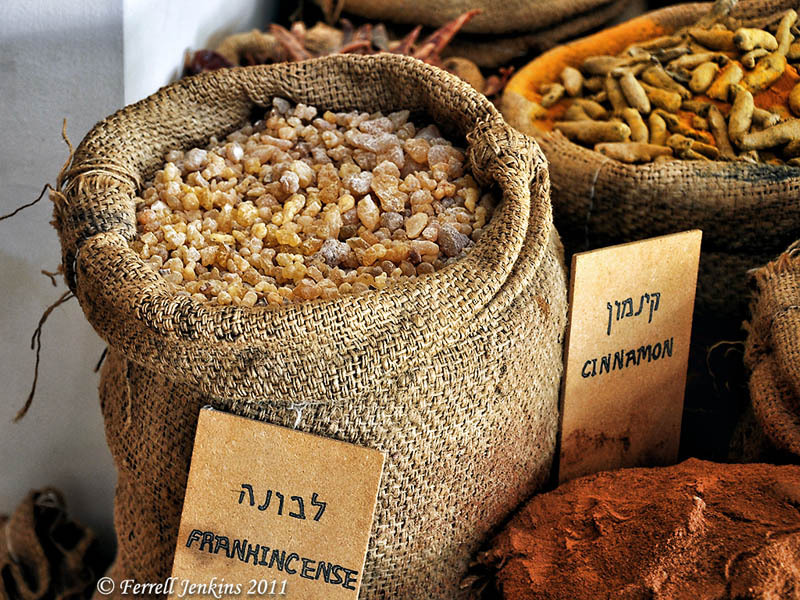 Levites were appointed to take care of the frankincense used in the temple (1 Chronicles 9:29). Eliashib the priest hid Tobiah in a large room where frankincense and other sacrificial items were stored (Nehemiah 13:5, 9). Gold is mentioned with frankincense in Isaiah 60:6 and Matthew 2:11. Both are mentioned among the goods the merchants could no longer sell because of the fall of Babylon (Revelation 118:11-13). 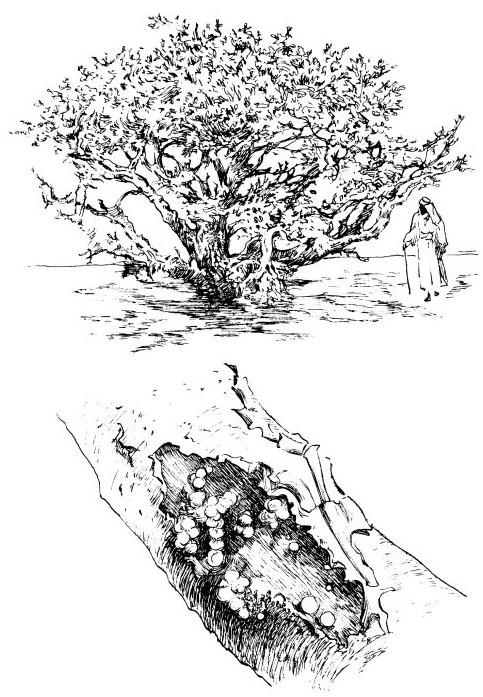 The illustration showing the frankincense tree comes from 1000 Bible Images (Logos digital edition). Frankincense Tree. 1000 Bible Images. Our current header photo was made at Avdat, and indicates the importance of the city as an important stop on the Incense Route. This entry was posted in Bible Lands, Bible Places, Bible Study, Culture, Israel, Jordan, New Testament, Old Testament, Photography, Travel. Bookmark the permalink.